You’d like eating out in Barcelona, but you don’t want to spend half of your holidays budget, or end up in a fast-food restaurant. 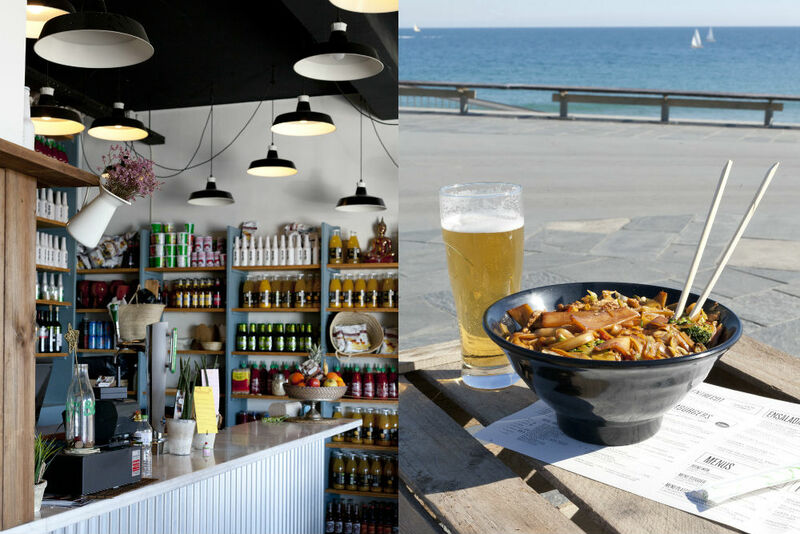 Either for lunch or for dinner or just for a drink, do not miss our selection of bars and restaurants, where you can eat and drink at a good price in Barcelona. In this street of el Raval you can find some of the best bars in the Old Town. La Bodega Berlanga opened in mid-2016 and we recommend you everything in it! Good sausages, cold meat and tasty bread as in the old days. The star is the glass of draught beer (caña) from just €1.30. Chen Ji – carrer d’Ali Bei, 65 One of the best places to taste authentic Chinese cuisine. At Chen-Ji you’ll find homemade Chinese noodles for € 3; guo-tie (dumplings) for €4 or can pay €4.50 for a soup. If it is full, remember that in the Fort Pienc neighbourhood there’s plenty of options to eat inexpensive and good quality Chinese food. A premium quality Burger at a good price? Yes you can! Pim Pam Burger makes complete and delicious burgers from €6.50. Fries are also a must! If you turn the corner into Carrer del Rec you’ll find Pim Pam Plats, from the same owners. There you can have eat away cooked meals, affordable and high quality. In summer there’s a queue in front of this restaurant that has imported an Italian specialty: the Piadina. You can try one from €3.5. The Couples Menu, that includes two piadina, a dessert and a bottle of lambrusco wine, costs €17. You can't say no! Youth Hostel Pere Tarres offers a Monday to Friday daily menu for only €9.50. Catalan and fresh market cuisine that changes every week. An economical place in one of the best hostels in the city. A restaurant where the entire menu and drinks are Bio. The highlight is the only €5.5 noodle or rice Wok. A Wok menu with drinks will cost you only €8.70. Apart from Woki Barceloneta you can also find them at Carrer Asturies and Plaça Catalunya. One of the best places in Barcelona to try Patatas Bravas, no doubt. Despite being in the wealthy neighbourhood of Sarrià, at Tomàs a Bravas tapa will cost you €2.5 and a glass of beer (caña) €2. Do not miss it!. Back to Carrer Joaquim Costa to tell you about a very American and cheap place. As suggested by its name, this restaurant is dedicated to hot-dogs.You can choose a full menu for 5€ or customise your choice. And there’s vegan sausages! Going for a drink at El Rabipelao is meeting Venezuela in the heart of Barcelona. The highlights are the mixed drinks and cocktails. Venezuelan rum mojitos and caipirinhas from €4 and if you go during the happy hour, you will have €1 discount. Are you hungry? The specialty are the Arepas from €4.5. What makes L’Ovella Negra (The Black Sheep) a classical spot for university students since 1965? Their sandwiches and tapas from €2, drinks to share, good atmosphere and lots and lots of party!